A German emigrant to the US in 1841, her family settled in New York. 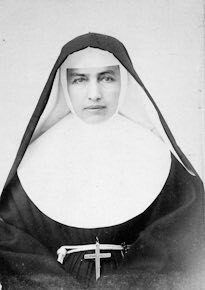 She entered the Order of St. Francis as a tertiary, taught German immigrants and then became involved with a hospital in New York. 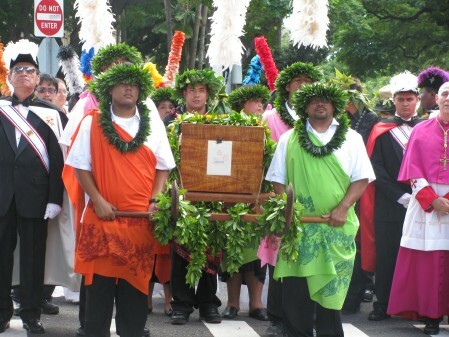 In 1883 she responded to a call for help from Hawaii’s King Kalakaua. 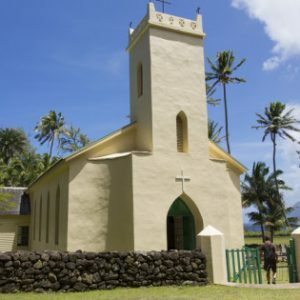 Honolulu was caring for sufferers from leprosy, and she and six members of her order worked in Oahu, but moved to Kalaupapa, Moloka’i, in 1888 where she joined Father (St.) Damien. He was one of her first patients. When he died she took over the colony. A Sister of St. Francis, Marianne was canonized Oct. 21, 2012. She is the first Franciscan woman from North America to be canonized, and only the 11th American saint. 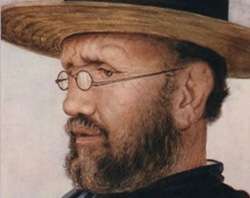 Father Damien wrote to 50 different religious orders of nurses, seeking help for the victims of Hansen’s Disease. Mother Marianne’s order was the only one who responded. In the Hawaiian Islands she is revered as deeply as he is. We honor her today on her feast day for her generosity and are filled with gratitude she is one of our most recent American saints. Every age has its stories of heroic men and women whose faith challenges them to reach out in heroic love and service to alleviate the sufferings of their brothers and sisters. This is the story of one such hero. He was born Joseph De Veuster, a Belgian farm boy. He is known now to all the world as Damien the Leper. His bronze figure graces the statuary hall in Washington, D.C.
Damien’s compassion for the lepers led him to spend sixteen years in the “living graveyard that was Molokai,” where he died at the age of forty-nine in service to people suffering from the terrible disease of leprosy. Damien never lost sight of his life’s purpose, despite the many difficulties and sufferings he bore. It was only his faith that enabled him to endure the trials that his life’s work caused him. We hope that you enjoy this story and find it a source of strength and encouragement. 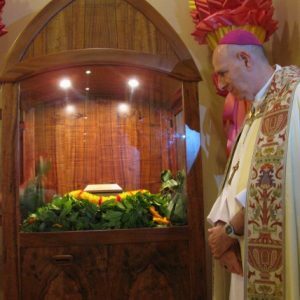 The artifact presented here is known to be excessively rare given the contagious illness St. Damien contracted four years before his death. 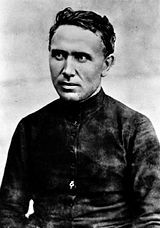 The fact that St. Damien was canonized on October 11, 2009, by Pope Benedict XVI, makes this letter, not only rare, but a sacred item of a canonized saint. 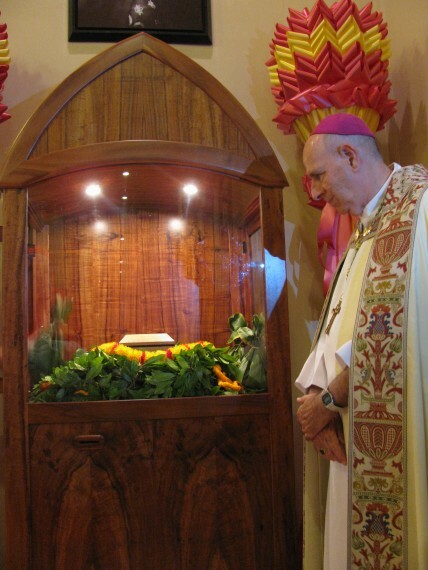 It is an exceedingly rare and treasured part of the Papal Artifacts’ Collection. 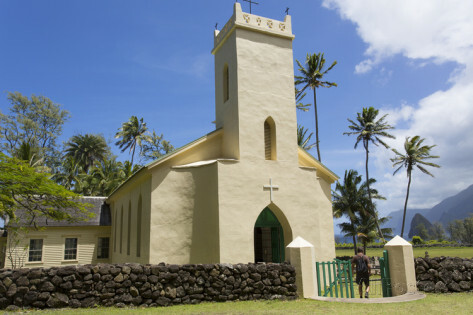 Damien, Father Joseph Damien de Veuster, a Belgian Catholic missionary to the leper colony in Molokai, Hawaii, joined the Congregation of the Sacred Hearts of Jesus and Mary in 1840. 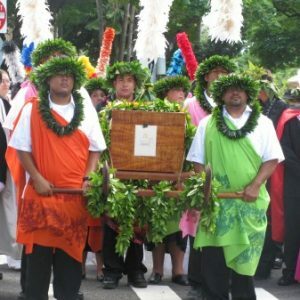 He served as a missionary in the islands of Hawaii for several years before volunteering to serve the lepers on Molokai in 1865. For eleven years Damien ministered to the physical and spiritual needs of the colony, helping them to build cottages and roads. He contracted leprosy in 1884, dying from its ravages four years later. 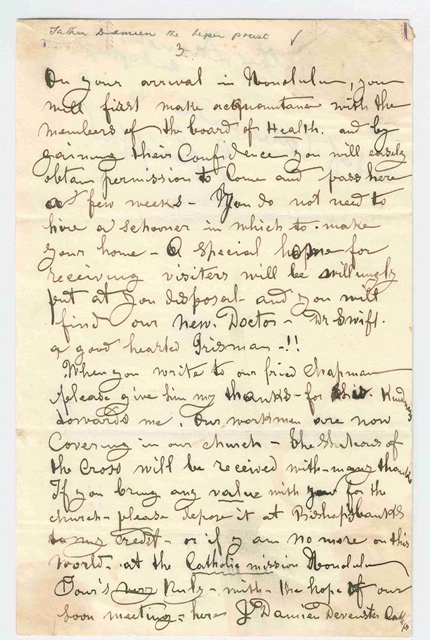 This letter, known in the world of collecting, is an ALS: an autographed letter, signed, is the concluding page of a three page letter, signed, “J. Damien Deveuster.” There is no date but it is probably after he had contracted leprosy. The letter was written to Edward Clifford, an accomplished artist from England. He visited Damien in December 1888 and rendered several sketches of the dying priest. 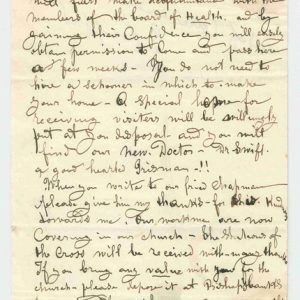 The letter concerns the Stations of the Cross that were being given to the Catholic church on Molokai where Damien lived at the leper colony established there. Please visit the rest of this story on Papal History/Saints & Blesseds/Damien. The link is below.